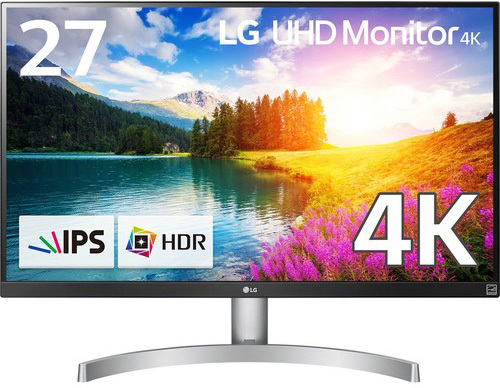 LG 27UK600-W 27" IPS technology 4K Monitor - True 178° wide viewing angle + real colour, 4K Resolution 3840x2160, Brightness - 350cd/m2, Contrast Ratio - 1000:1, 5ms GTG Response Time, HDMI, Display Port, Retail Box , 3 year warranty. 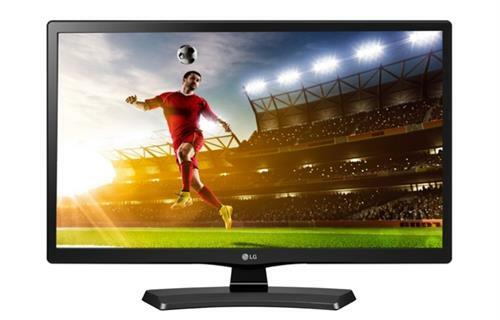 LG 34WK650-W 34" Ultra Wide LED Display - True 178° wide viewing angle + real colour, WFHD Resolution 2560x1080, Brightness - 300cd/m2, Contrast Ratio - 1000:1, 5ms GTG Response Time, HDMI, Display Port, Retail Box , 3 year warranty. 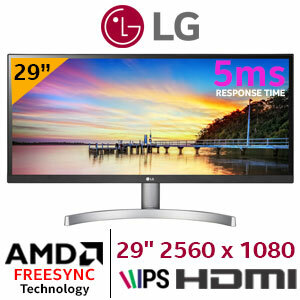 LG 29WK600-W.BFB Series 29 Inch Ultra Wide LED Dynamic Action Sync FreeSync Monitor - IPS panel, Viewing Angle (CR≥10) 178/178, Full HD 2560 x 1080 x1024 Resolution, Aspect Ratio 21:9, Response Time 5ms (GTG High), 250 cd/m2 Brightness, Anti-glare, Anti-Glare 3H Coating, Native Contrast Ratio (Original) 1000:1, 2x HDMI, 1 x Display Port, Headphone Out Jack, 2 x 5w Max Audio Speakers, VESA Wall Mountable - Black, Retail Box , 3 year warranty. 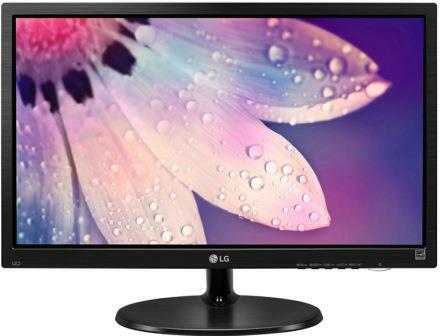 LG 24GM79G Series 24" Wide LED LCD Monitor with HDMI, Display Port and USB 3.0 - TN Panel, Full HD 1920 x 1080 Resolution, Aspect Ratio 16:9, 5ms (GTG) Response Time, Native Contrast Ratio(Original) 1000:1, Mega Contrast Ratio 5,000,000:1, 350cd/m² Brightness, VESA Wall Mountable-Black, Retail Box , 3 year warranty. 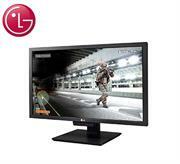 The LG 24GM79G 144Hz gaming monitor features a versatile design with 130mm height adjustment, -5°, 35° tilt, 90° rotate/pivot, and 100 x 100 VESA mount compatibility. Its screen is coated with a 3H matte finish which eliminates the sunlight reflection allowing you to focus on the game without straining your eyes.The base of the monitor also features a matte surface and it’s easily detachable. The bezels aren’t as thin as it’s the case with the rest of modern monitors, but the dark non-glossy chassis is alluring nonetheless.When it comes to connectivity, there are two HDMI 2.0 ports, a DisplayPort 1.2, the headphones jack, and two USB 3.0 ports at the side of the monitor. FreeSync is supported via both HDMI and DisplayPort within 48Hz-144Hz dynamic range. 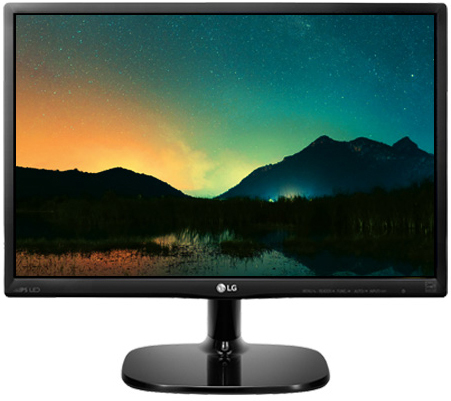 LG 27MK400H 27" Class Full HD TN with AMD FreeSync Monitor - True 170/160° viewing angle, HD Resolution 1920x1080, Brightness - 300cd/m2 Typical, Contrast Ratio - 1000:1, 2ms GTG Response Time, HDMI, D-Sub (VGA), Retail Box , 3 year warranty. 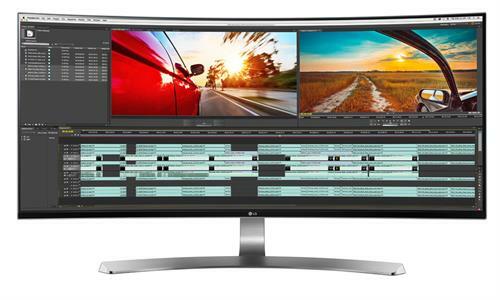 The UltraWide 21:9 aspect ratio makes games and movies more immersive than ever. The clarity of 1080p pixel Full HD resolution with IPS is a game-changer. Simply put, from any viewing angle, everything looks more crisp and detailed in Full HD.sRGB is the standard color space of ideal color reproduction. 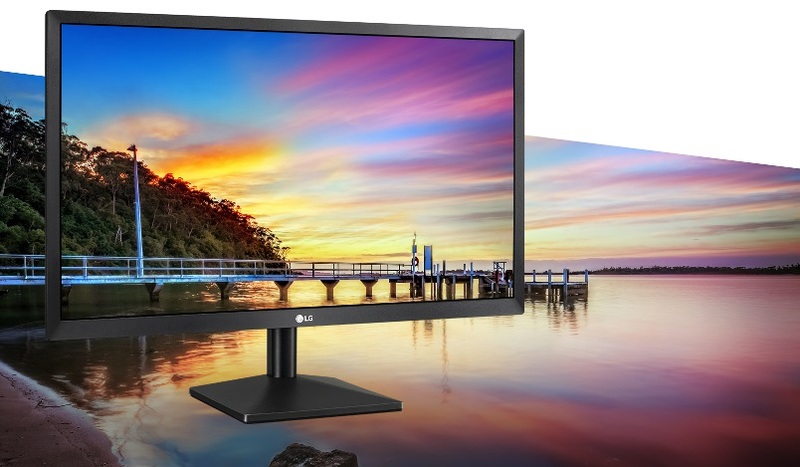 So, with over 99% coverage of the sRGB spectrum, this LG monitor is a great solution for professional photographers, graphic designers or anyone looking for highly accurate color. 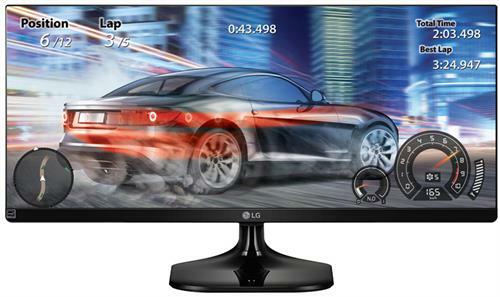 The LG 24MK400H-B 23.8inch 16:9 FreeSync LCD Monitor is built with helpful gaming features such as a fast 1 ms response time and support for AMD FreeSync technology. 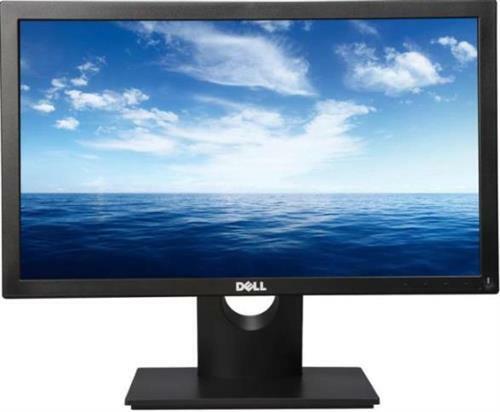 Specs-wise, it features a Twisted Nematic (TN) panel with a 1920 x 1080 Full HD resolution, a 200 cd/m² brightness rating, a 1000:1 static contrast ratio, and support for 16.7 million colours. 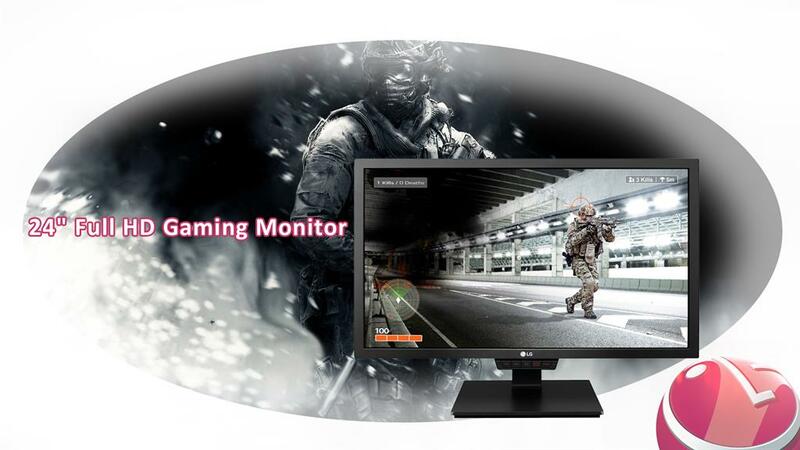 With these combined, this monitor provides you with clear content reproduction and the responsiveness for fast-paced games. Connect it to your system via HDMI or VGA and tilt it to your viewing preference. Alternatively, you can install an optional VESA mount or arm if needed. 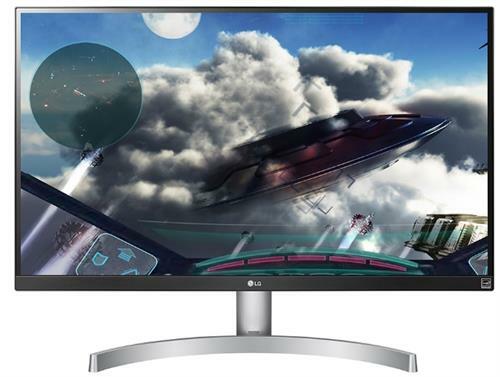 The LG 22MK400H-B 21.5 inch 16:9 FreeSync LCD Monitor is built with helpful gaming features such as a fast 2 ms response time and support for AMD FreeSync technology. 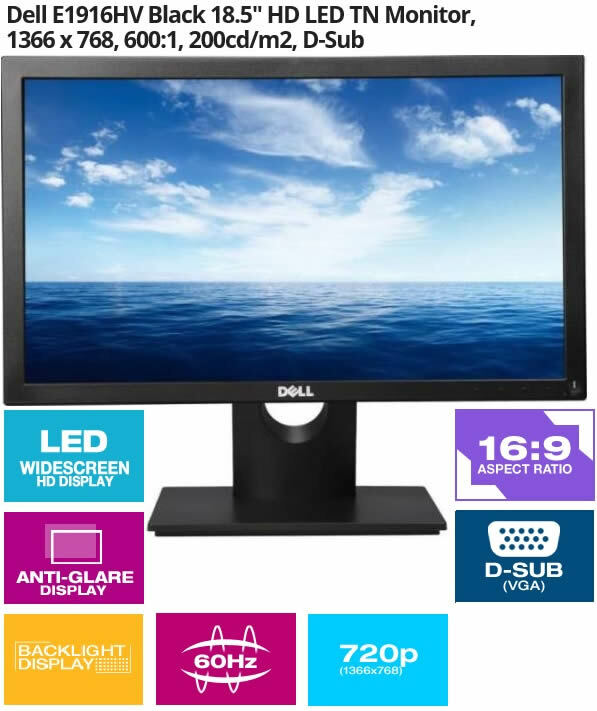 Specs-wise, it features a Twisted Nematic (TN) panel with a 1920 x 1080 Full HD resolution, a 200 cd/m² brightness rating, a 1000:1 static contrast ratio, and support for 16.7 million colours. 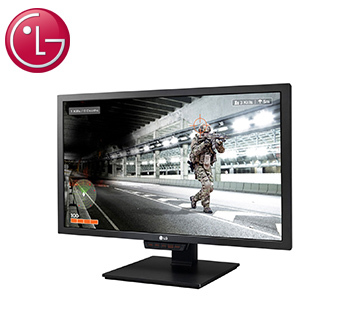 With these combined, this monitor provides you with clear content reproduction and the responsiveness for fast-paced games. Connect it to your system via HDMI or VGA and tilt it to your viewing preference. Alternatively, you can install an optional VESA mount or arm if needed. 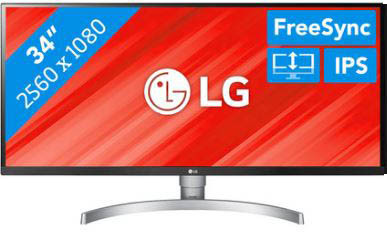 LG 22MP48HQ 21.5" Wide IPS LED LCD Monitor have been colour calibrated so colour reproduction is improved at virtually any angle .To reduce eye fatigue, this monitor features Reader mode that reduces the blue light when reading and reduces flickers to almost zero with Flicker-Safe and LG's Black Stabilizer to brighten dark areas of the screen that helps make it brighter so that you can find the enemies hiding and waiting to attack your player in the dark scenes when gaming. The Screen Split feature on this monitor allows you to customize your monitor layout for multitasking. Resize and display multiple windows at once, with 14 options including four different picture-in-picture (PIP) choices. The Flicker-Free technology allows you to work for longer periods of time without straining your eyes. The Reader Mode is activated with a touch of a button. It allows the reduction of blue light emissions that can be harmful to the eyes to help ensure an optimal viewing experience. 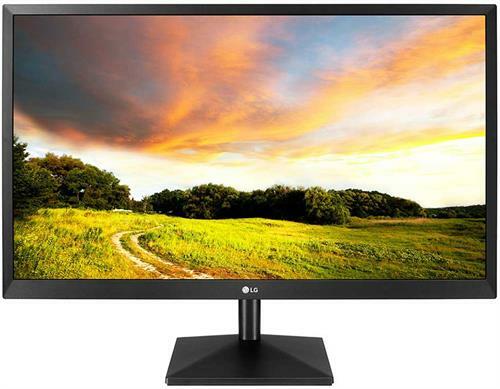 LG 20MK400H-B Series 19.5 inch Wide LED Monitor with HDMI - TN Panel, 1366x768 HD Monitor, Aspect Ratio 16:9, 2ms (GTG) Response Time, Contrast Ratio Typical 600:1, 160cd/m² Brightness, Anti-glare , D-Sub VGA and HDMI Ports, VESA Wall Mountable - Black, Retail Box , 3 year warranty. 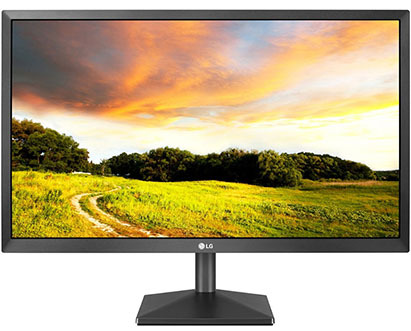 The LG 19M38A-B.AFB 18.5" VGA LED Monitor is a cutting-edge display with a wide range of features and is a high-quality solution for a variety of applications. With LED technology, a 1366 x 768 HD resolution, a typical contrast ratio of 600:1 and 200cd/m² brightness levels, the black glossy PC screen gives videos, graphics and images a new lease of life. This state-of-the-art 18.5 inch LG monitor is VESA Wall Mount size (mm) 75 x75 compatible for suitable positioning and features Dual Smart Solution which enables the user to optimise the display on two screens with just one click of the mouse. 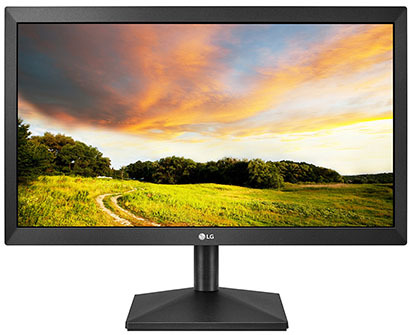 Whether you use this feature for cloning or extending your visual setup, the LG 19M38A-B.AFB display gives you the options to work freely and more comfortably. Additionally, the angle of the computer monitor can be tilted to a preferred working position. LED backlighting guarantees a crystal-clear image, dark, defined blacks and true-to-life colours. 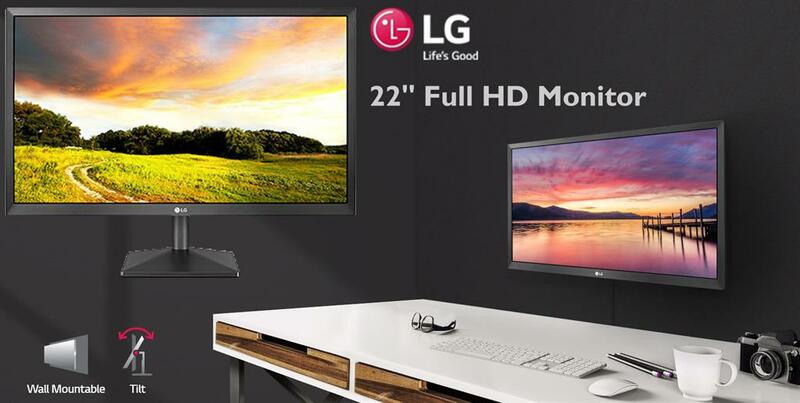 The LG LED monitor performs at this high standard whilst being eco-friendly at the same time with its SUPER Energy Saving Mode. When set to this mode, you'll be saving an additional 25% energy than you would with a conventional LED monitor, without compromising on picture quality. The stylish LED display is easy to setup to your PC via VGA input and with its slim-line form; your workspace will be clutter-free and minimalist. 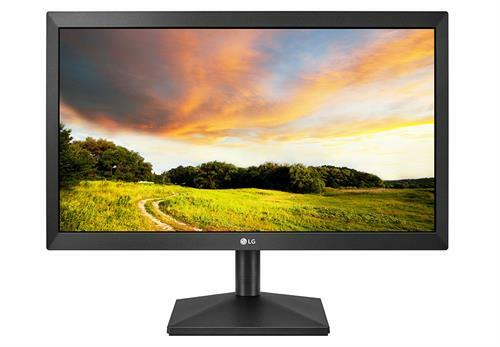 Save on space, money and energy whilst improving productivity with the stylish and high-quality LG 19M37A-B.AFB 18.5" VGA LED Monitor. •Dual Smart Solution: To make multi-tasking a breeze, the Dual Smart Solutions allows the simple set up of: - A Dual Monitor by just one click - A Dual Taskbar on each monitor - Auto-optimized Dual Web. •Wall Mount: Mount your monitor according to your interior situations and take advantage of the space saving effect. 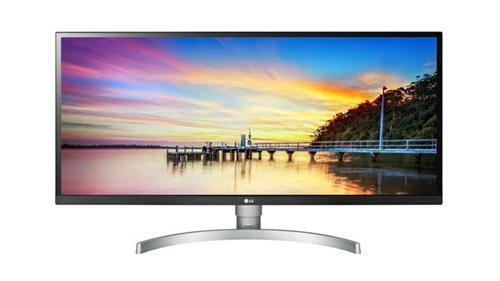 •Super Energy Saving: This LG Monitor uses a SUPER Energy Saving mode which saves an additional 25% energy than conventional LED monitors. It does this by ensuring you get the best picture quality without image loss. 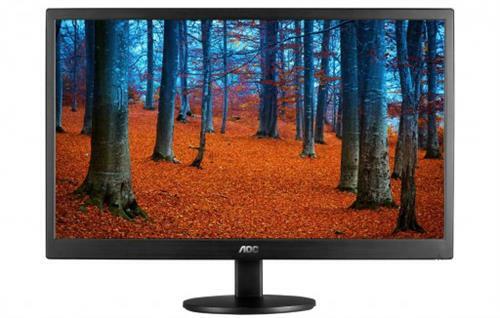 AOC 15.5" USB Powered Monitor, Retail Box , 3 year Limited warranty. 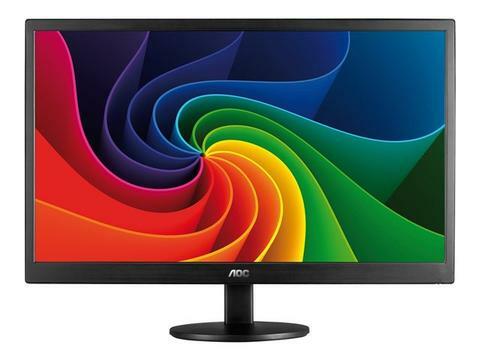 AOC’s Model E1670SWU is a compact 15.6” display with LED backlight technology, which requires 50 percent less energy than typical 4CCFL monitors. 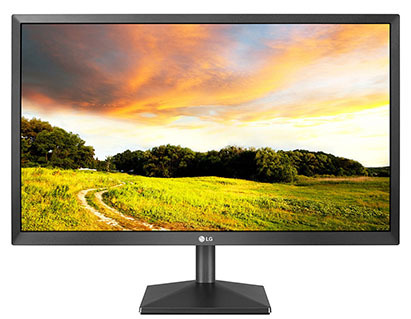 This low power consumption technology, combined with its Mercury-free LED Panel, make it one of the most environmentally friendly lines of monitors offered. It features an attractive design with its Hair-Line, brushed texture surface and Ultra Narrow Bezel. The monitor’s Dynamic Contrast Ratio of 20M:1 provides ultra detailed imaging, plus it includes AOC’s signature e-Saver, i-Menu and Screen+ Software. Kensington Lock is an anti-theft system, comprising a metal-reinforced hole in the body of the respective device, to use with a metal cable secured with a key/lock system. Kensington locks enable you to secure your AOC monitor during a LAN event, an organization, or wherever you carry it.